Business centres, Flexible workspace, Coworking space…the way that people work continues to diversify, so the style of workspace changes too, giving the end customer ultimate choice. In 2018, 10.7m sq. ft. of workspace in London was managed by flexible workspace operators (source: Cushman & Wakefield), a figure which can only continue to grow. Wherever they work, organisations need Wi-Fi and superfast internet and the ability for that to grow with their businesses. So, whether we’re partnering with Coworking spaces or Business Centres, fundamentally our product and the way we deliver it remains the same. People are at the heart of everything we do, everything we are, and I’m very proud to say this, I have never met a single operator in our sector that doesn’t 100% care about the customer experience and providing a quality service. Every operator wants to be number one to their clients. So, what are the top 5 criteria for attracting people to your workspace? And how could you best improve your customer experience? Well, there’s nought you can do about the Location, other than find one that really works in the first place and ‘Price’ I would argue is the sum total of options 1-4. Your rate will always hold strong against weaker competition if you concentrate on these key areas. People are the front-line customer face of your organisation. Every interaction, every conversation or problem solved is at their fingertips to deliver. The right people will want to deliver the right service, you must give them the right tools, training and support to help them deliver excellence. Like Connectivity, they require investment – without this you won’t get 5-star ratings in either. You can probably tell, at technologywithin we’re big on the collective and we see our role as trusted advisers and partners in the flexible workspace sector. 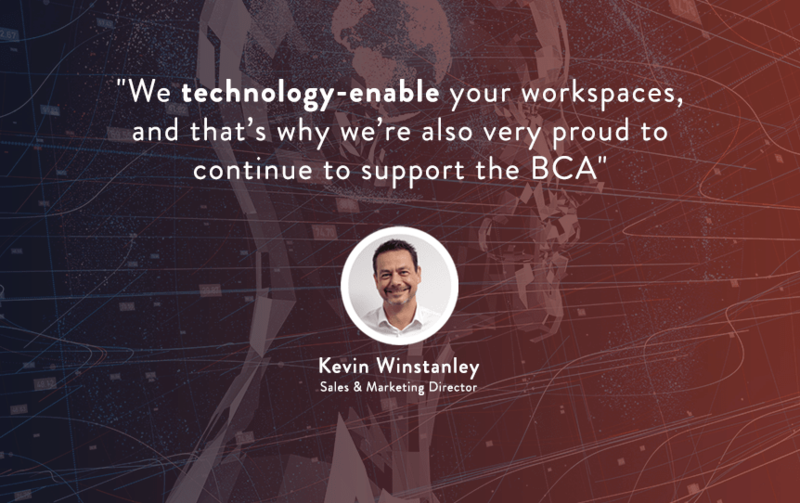 We technology-enable your workspaces, and that’s why we’re also very proud to continue to support the BCA – whatever the sector is now and whatever it evolves to be in the future, it’s our choice as members and partners to make it so. To register for the BCA conference click here.